As her New York Times bestselling novels always remind us, Anne Perry is a matchless guide to both the splendor and the shame of the British Empire at the height of its influence. In her twentieth William Monk mystery, she brings us to London's grand Mayfair mansions, where the arrogant masters of the Western world hold sway and to the teeming Thames waterfront, where one summer afternoon, Monk witnesses the horrifying explosion of the pleasure boat Princess Mary, which sends to their deaths nearly two hundred merrymakers. The tragedy is no accident. As commander of the River Police, Monk should handle the case, but the investigation is turned over to the commissioner of the Metropolitan Police. An Egyptian man is swiftly caught, tried, and sentenced to die. But almost as quickly, Monk presents evidence that Habib Beshara, though a nasty piece of work, was elsewhere at the time of the blast. The investigation, now in complete disarray, is hastily turned over to Monk. Is the crime connected with the soon-to-be-opened Suez Canal, which will enormously benefit wealthy British shipping companies? Or did all of those innocent people drown to ensure the death of just one? How did the bomber board the ship, and how did he manage to escape? Is he an anarchist or a madman? Backed up by his astute wife, Hester, and his old reliable friend Oliver Rathbone, Monk vows to find answers but instead finds himself treading the dangerous waters of international intrigue, his questions politely turned aside by a formidable array of the powerful and privileged. Events twist and turn like the Thames itself, leading to the shattering moment when Monk realizes, perhaps too late, that he is the next target. 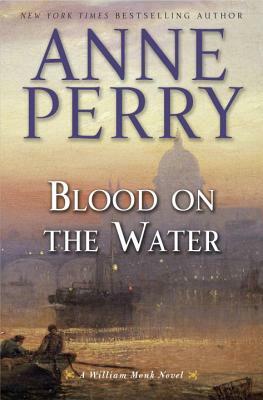 Anne Perry is the bestselling author of two acclaimed series set in Victorian England: the William Monk novels, including Blind Justice and A Sunless Sea, the Charlotte and Thomas Pitt novels, including Death on Blackheath and Midnight at Marble Arch. She is also the author of a series of five World War I novels, as well as eleven holiday novels, most recently A New York Christmas, and a historical novel, The Sheen on the Silk, set in the Ottoman Empire. Anne Perry lives in Scotland and Los Angeles.